Developed for use with the Fernox TF1 filter range and in-line system filters. 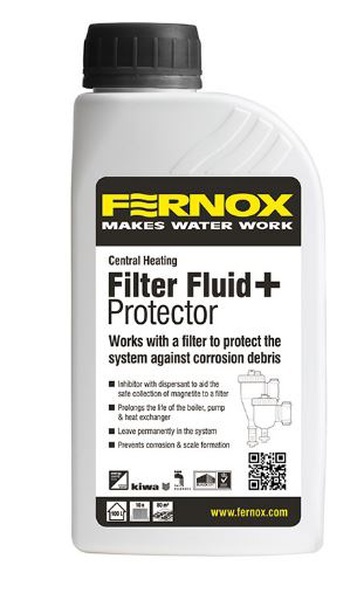 Fernox Filter Fluid+ Protector is specifically formulated to lift corrosion deposits and contaminants within central heating systems to deliver the debris directly to an in-line filter (such as one from the Fernox TF1 Filter range) for fast removal and containment. Importantly, it also provides the long-term protection of domestic central heating systems against internal corrosion and limescale formation. Have you seen 'Fernox Filter Fluid+ Protector 500ml (Fernox )' cheaper than our price (ex VAT) of £14.50 elsewhere?